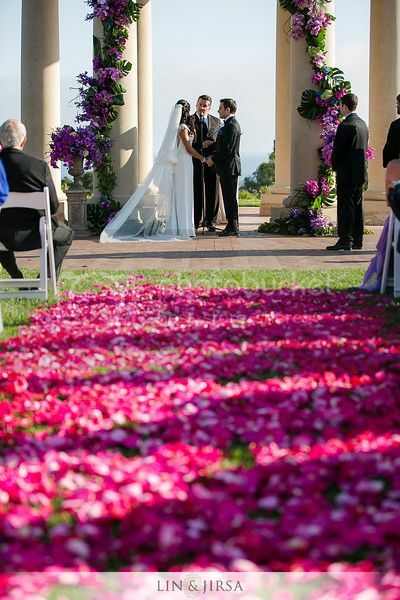 Any wedding with a view like the one at Pelican Hill is a memorable one. 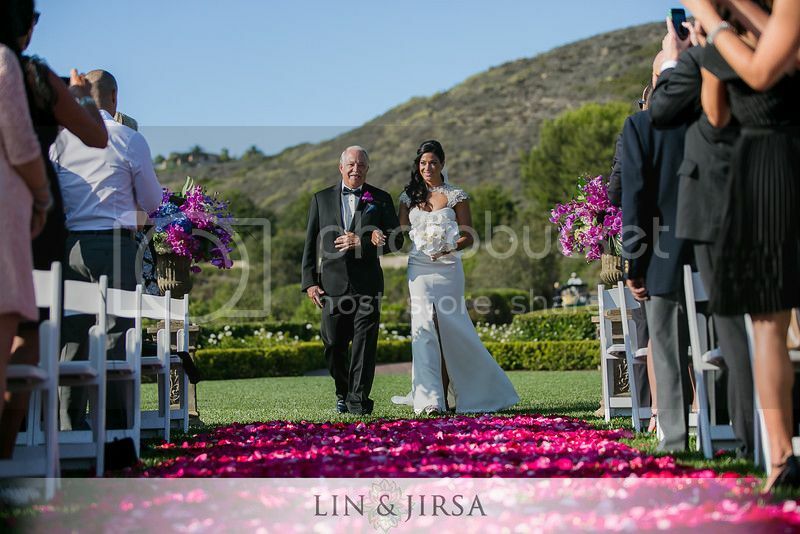 Our Bride and Groom, Marisa and Jeremy, were married on a perfect day in August with the ocean breeze and California sun shining down on them. 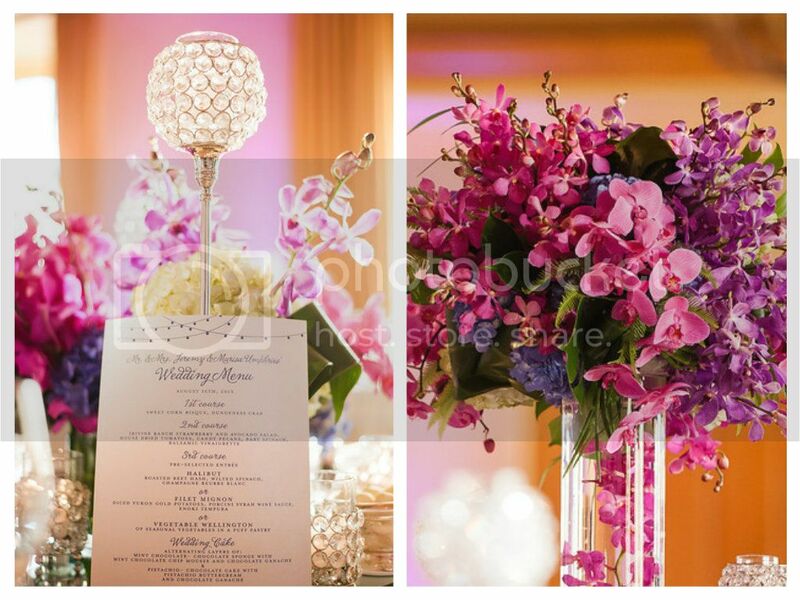 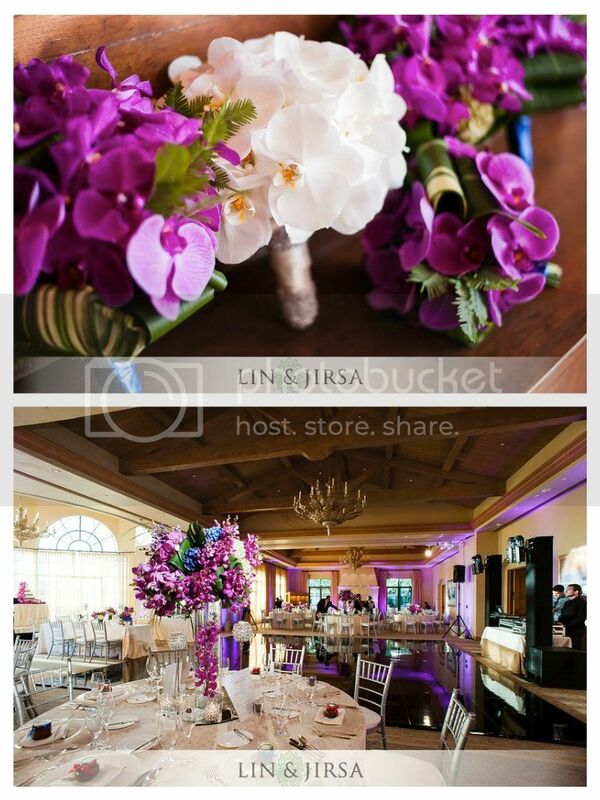 They chose vibrant jewel toned colors for their florals and decor which were incorporated flawlessly by Nisie's Enchanted Florist and Details Details Event Planning. 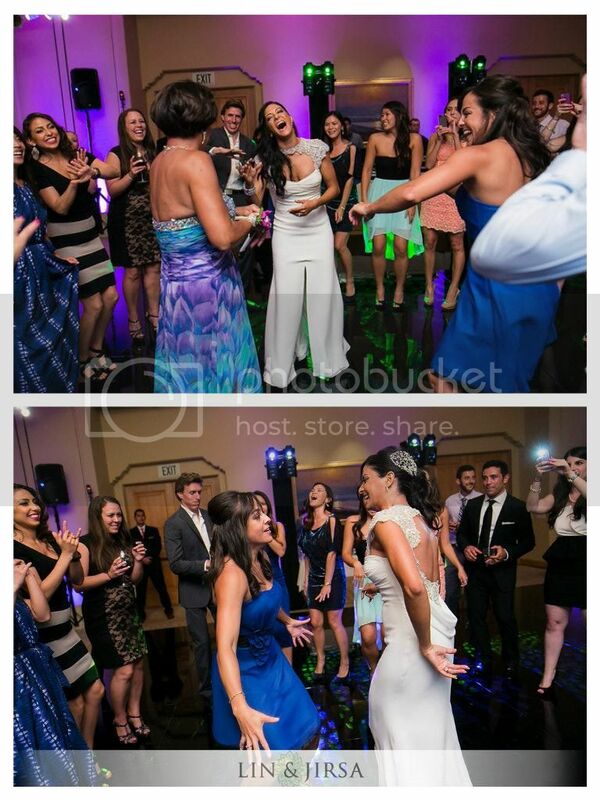 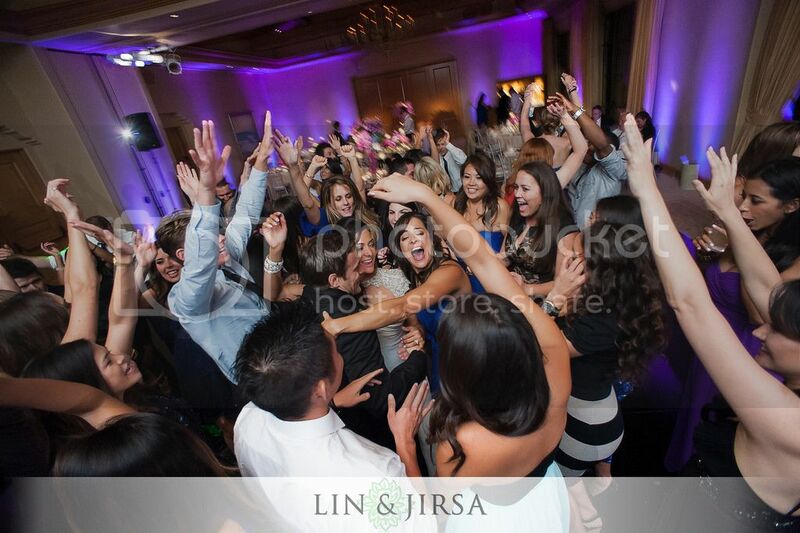 We had so much fun at the reception with their energetic and young crowd. 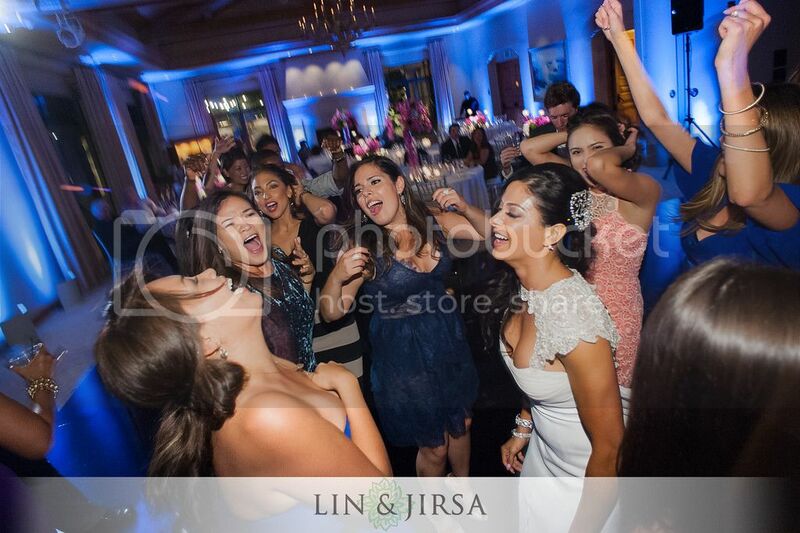 They all knew how to party! 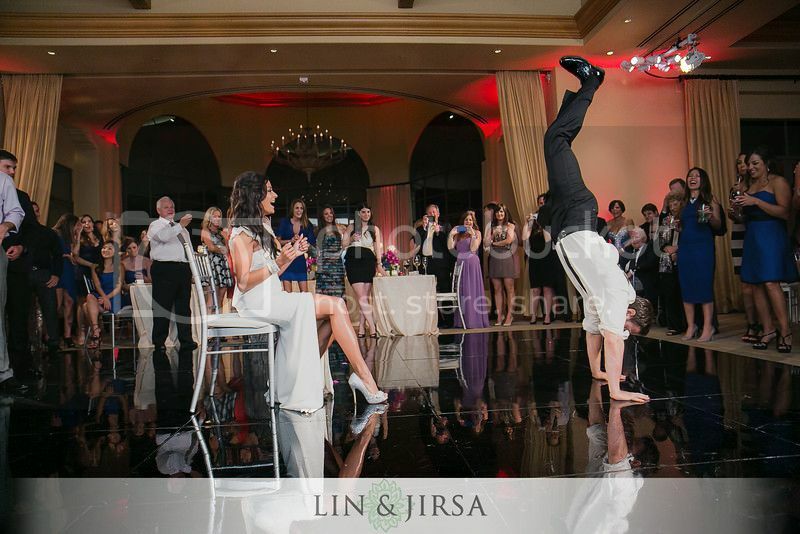 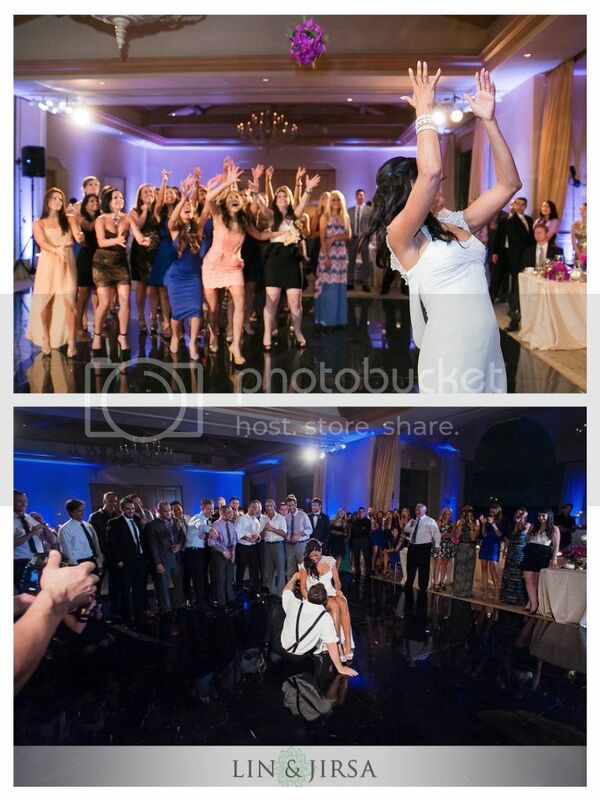 And, Jeremy did a handstand to start the garter removal, which was a first for us, but since he is an MMA fighter it was probably a normal thing for Marisa! 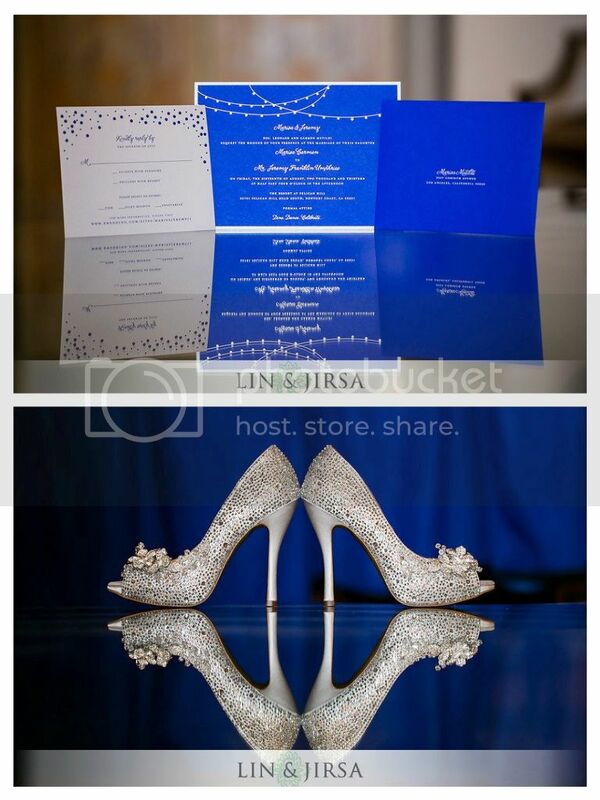 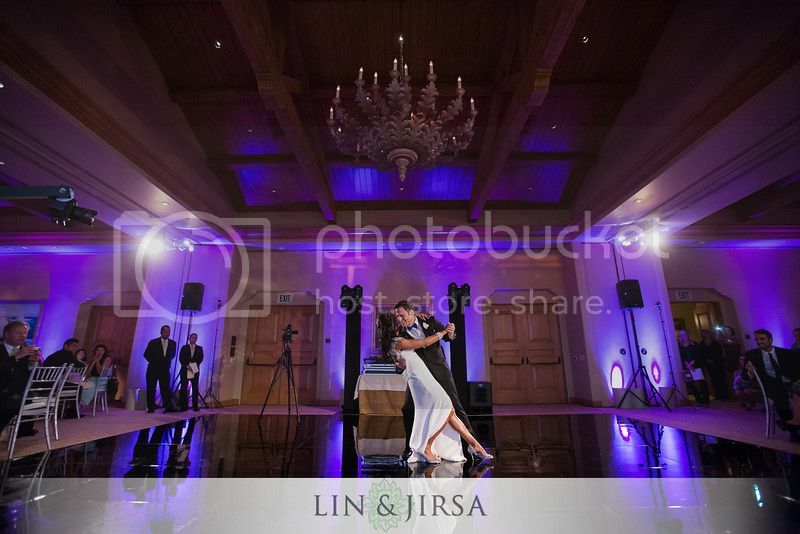 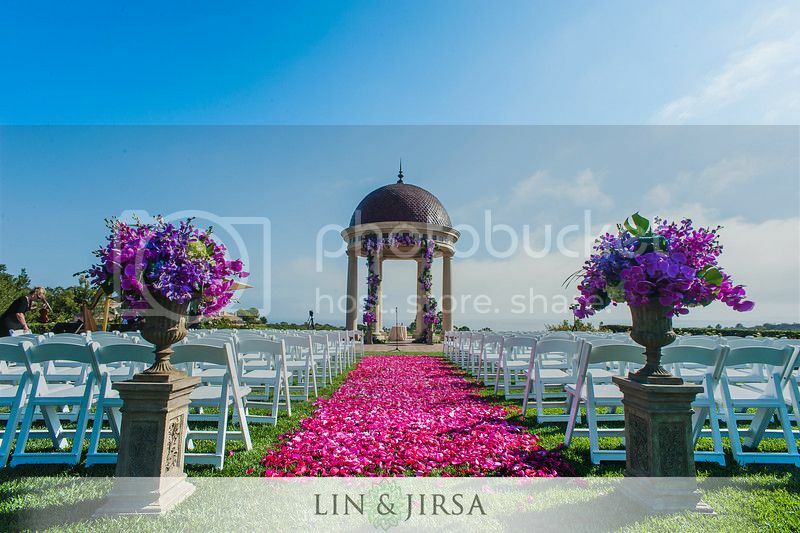 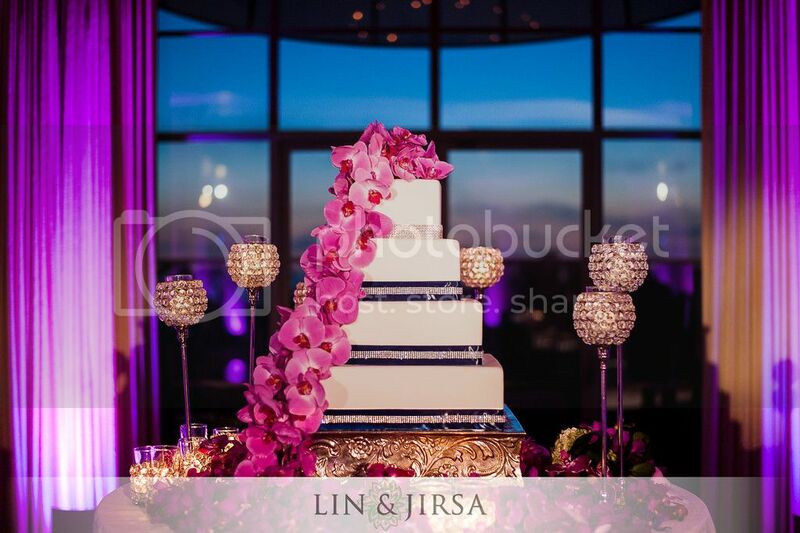 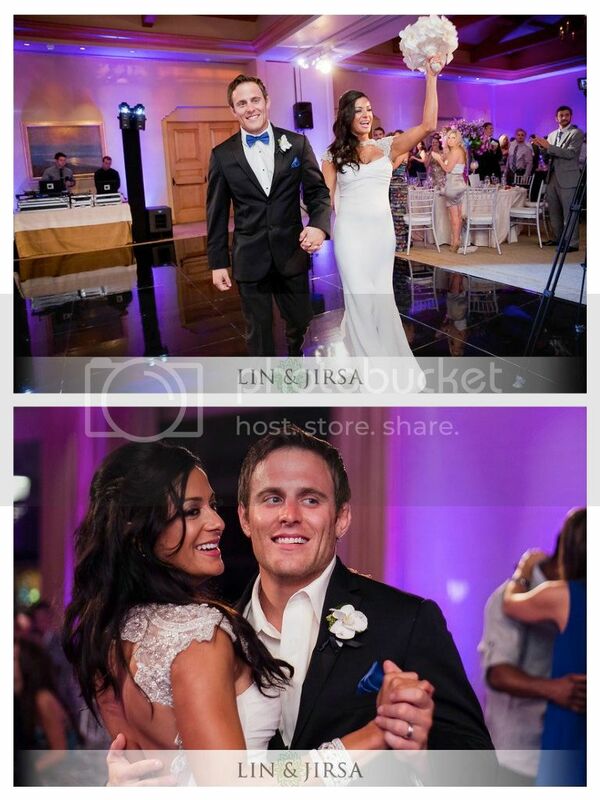 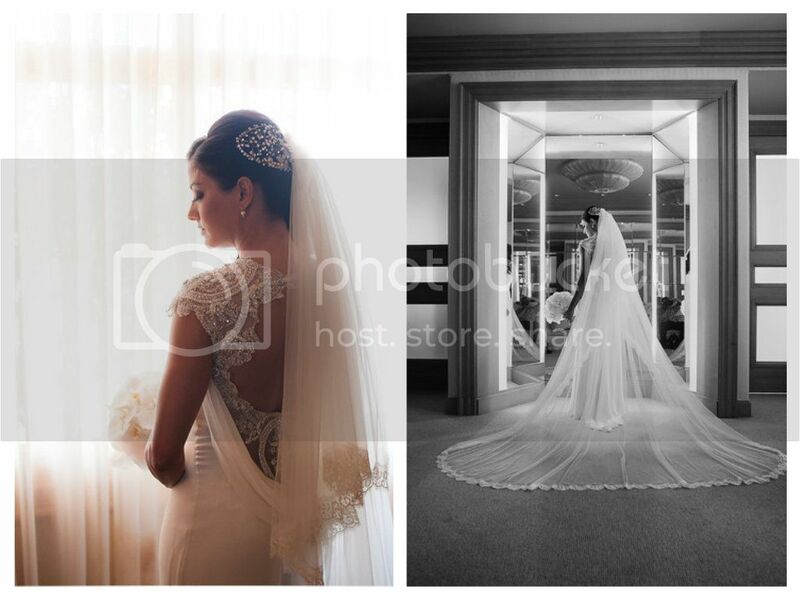 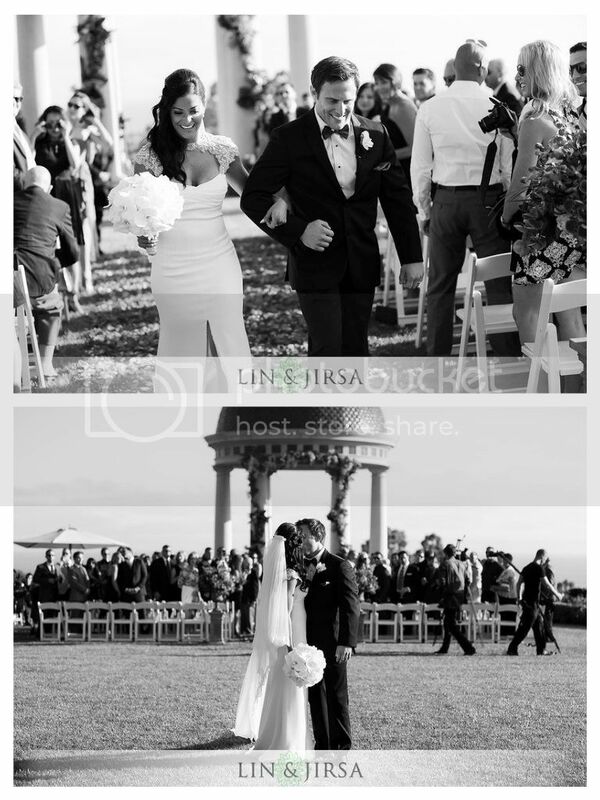 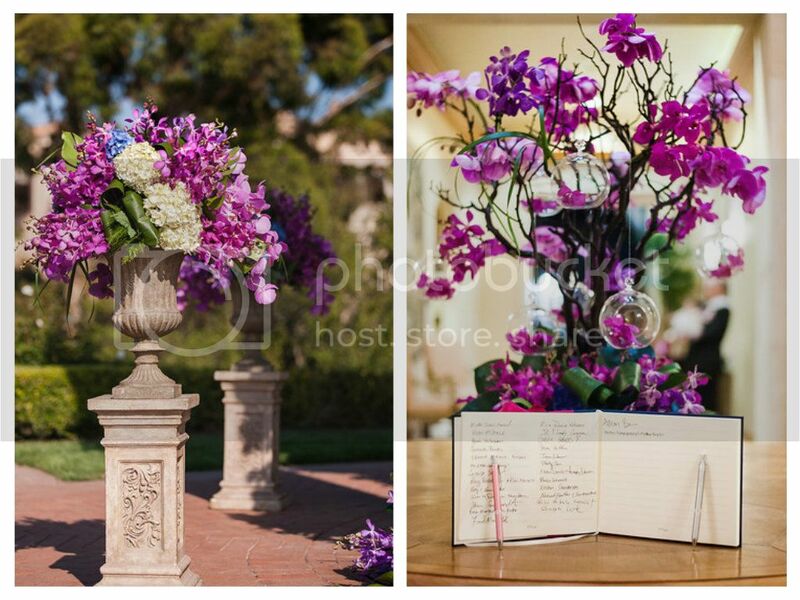 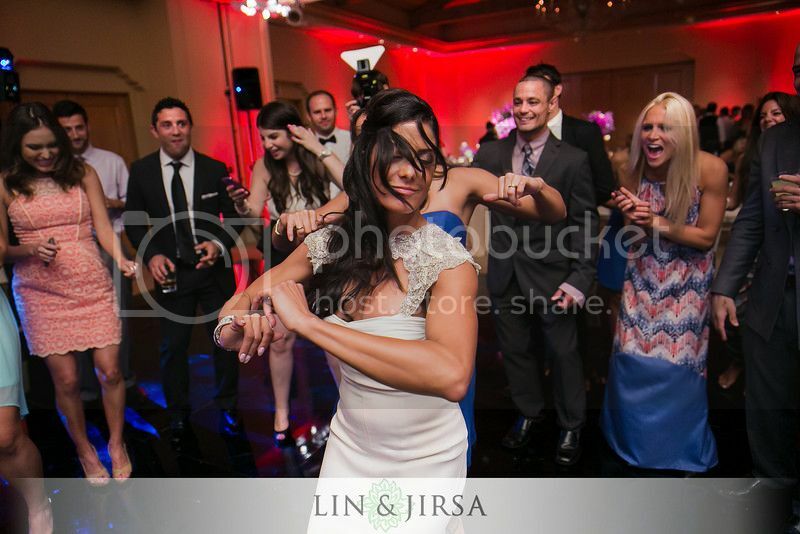 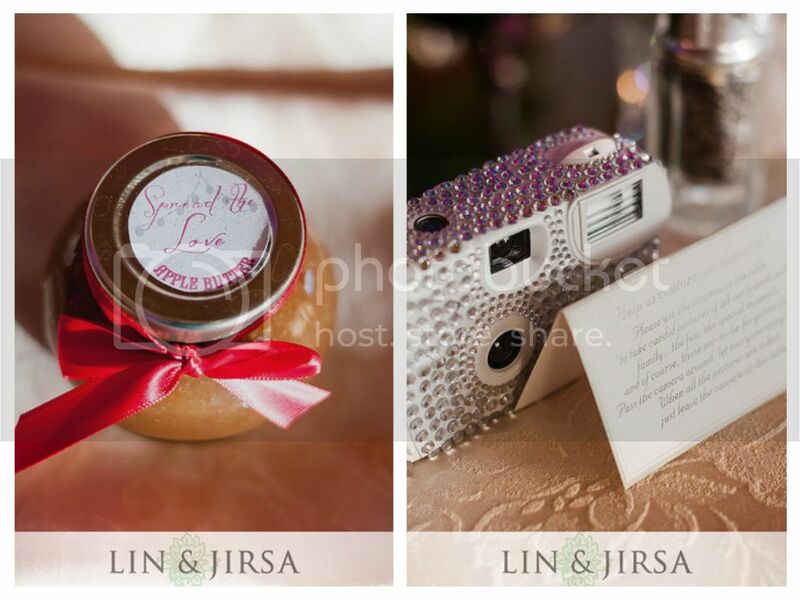 Enjoy the stunning photos from Lin & Jirsa and congrats again to the newlyweds!